Young married couples often think they don’t need to make a Will, perhaps because they think they’re too young or that they have nothing to give. Consider this; you own your home, pay mortgage protection each month and have an additional life support policy. Even if you don’t have a lot right now, should the worst happen and these policies pay out, your estate will suddenly have monetary assets! Without the Right Will, these assets are likely to pass to your spouse automatically. Even if this is what you’d want to happen anyway, it offers no protection for your assets. This is because the assets that were previously solely yours now belong to your spouse, who is now free to do as they please with what you used to own. 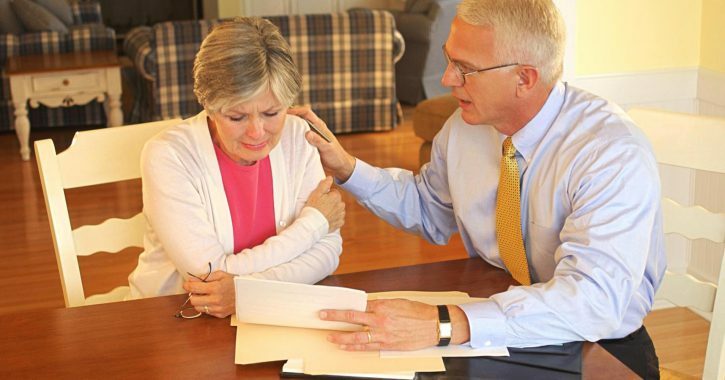 Even without intending to, your spouse may do something that leaves your estate vulnerable to losses. After the loss of a spouse, it is common for the remaining spouse to remarry later on. Upon remarriage, assets are often pooled together with those of the new spouse. They may buy a new home, or put the new spouse on the deed of an existing property. Picture this; the home you own with your current partner is in joint names. One day, you unfortunately pass away, leaving everything to your spouse- including the house. Eventually, your spouse remarries, but passes away shortly afterwards. This leaves the new spouse, perhaps somebody you’d never met, in possession of the house you used to own! Remember, upon marriage, any former Will is revoked, meaning you get no say whatsoever- unless the proper safeguards are in place. This means your children may inherit nothing at all. There would be ways for your children to take legal action in order to make a claim, but this is time consuming, extremely expensive and there is no guarantee they would be successful. Unfortunately, unmarried partners do not have the same protection as married couples when it comes to inheritance. This is often discovered too late, which is why making a Will is vital for unmarried couples. The laws of intestacy only recognise marriages and civil partnerships- cohabiting alone is not enough to ensure your partner will receive your estate once you’re gone. Legal proceedings are expensive and lengthy, and there’s no guarantee your partner will be successful. Making the Right Will is a much safer, more secure and cost effective method of ensuring your assets go to those you choose. Making your Will now can help ensure that your unmarried partner will be financially secure after you’re gone. If you are divorced, it is very important that you consider the assets and savings you now hold under your own name. You may have children that need protecting, especially if you decide to remarry or cohabit. Your Will must accommodate this; ensure that you update your Will to reflect your marital status. If you are separated, but there is no final legal settlement, your ex-spouse could still have a claim to your estate. This is why it is vital to update your Will whenever your life undergoes a big change that could affect inheritance. Civil Partners have the same rights as married couples when it comes to inheritance. However, your estate is still susceptible to losses to care fees, local authority means testing, inheritance tax and other claims when the second partner passes away, substantially reducing inheritance for their beneficiaries. Therefore, whatever your circumstances, making a comprehensive and protective Will is much safer than leaving it to chance. Having the “Right” Will is a very important part of your life planning. Make the Right Will today and ensure your assets pass to those you love; not those you don’t. Need Help? Find a consultant near you. If you need long term care in the future your assets will be assessed to determine if you will be entitled to funded care or whether you are deemed to be able to afford your own care.